According to Government Statistics, accidental drowning is the number one cause of death for children under the age of five in the USA. Pool Fencing is the safest choice to prevent this kind of tragedy. Every one of our products comes with custom warranty terms. All of our products installed throughout the world are made in the USA. Certified & Tested by the American Society for Testing & Materials. Protect Your Child by Installing The Best Pool Safety Products on the Market! 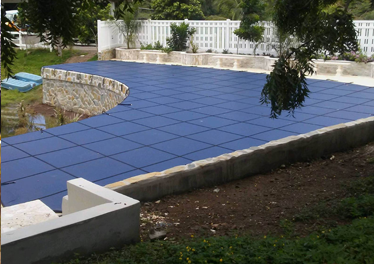 Every installation challenge will be overcome with a pool safety solution right for you. Besides an extra layer of security, your pool area will be left just as we found it. 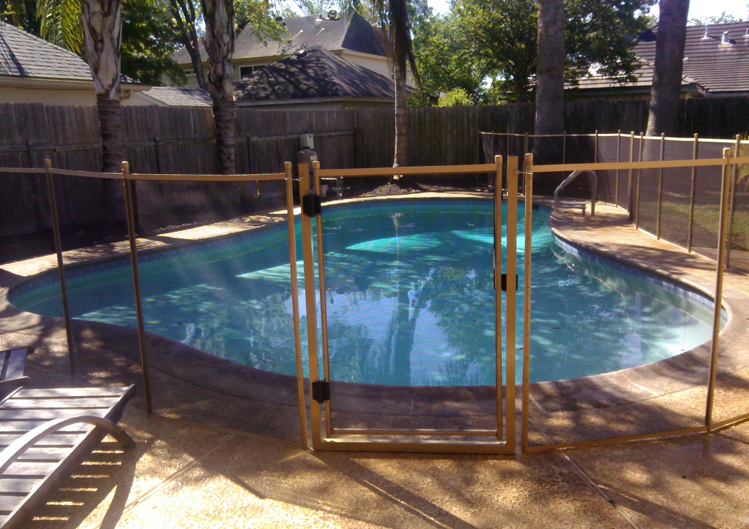 You can rest assured that an adequate barrier of security has been added to your pool. We stand behind all of our products and installations 100% percent. All of our security fence installers are trained to the highest standards. Pool Guard safety products are certified by the highest level of authority in our industry. I have nothing but great things to say about this company! Rick came out after we were contemplating one of these fences for the safety of our kids. We had contacted one company and were ready to go but we didn't hear back from them. Rick responded right away and had a much better price than we were expecting. He came out to meet with us and go over the layout and we scheduled our installation with him. He was very pleasant and friendly and someone you felt you would enjoy working with. Dave and Eric came out on President's Day on a Monday morning to meet with me for the installation. We walked out and went back over the design to make sure we were all on the same page before they began. They were extremely professional and friendly. They were helpful with any questions we had and did a fantastic job! I would highly recommend this company if you need a pool fence!! With a number of my friends having swimming pools in the Houston area, they highly recommended that I call Rick to get a safety pool fence installed in our new house. Rick and his team did a great job explaining how the safety pool fencing was going to look, and get it installed within 48 hours. I can definitely breath a little easier with my 3 years old running around the backyard. 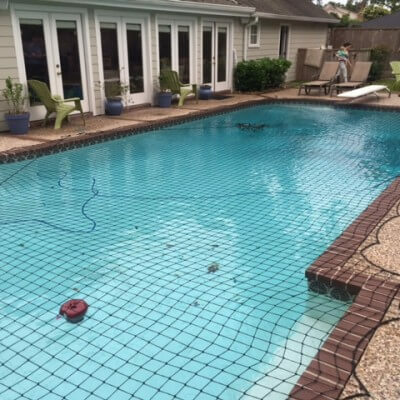 When we bought our new house we had Pool Guard of Dallas/Fort Worth come out to do an estimate for our pool fence as we have 2 small children who were not quite swimmers yet.Leslie came and did the measurements for the estimate, she was punctual and very friendly. She made some great suggestions on the positioning of the pool fence which allowed us to make the most use of the pool without the fence obstructing our movement and interfering with the view. Which pool safety product is best for me and my family? When looking to purchase pool safety equipment, you should consider the factors mentioned below. Please visit each Safety Product Page and our Blog to help determine which swimming pool safety product will best fit your needs. Does your city or HOA have any regulations or requirements on pool safety? Which product will be more effective for your needs? Consider the time it takes for removing and replacing the safety products. Review the initial invest and any maintenance cost associate with the product. What is the cost of the pool safety supplies and installation? 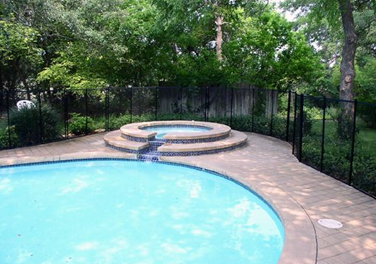 The cost of your pool fencing is determined by the shape, size, and installation positioning of your pool. 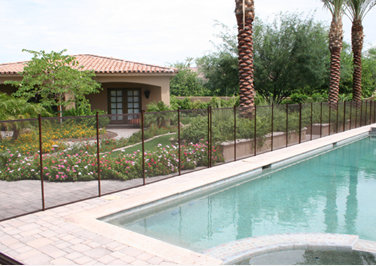 A removable mesh safety fence to enclose an average size pool will typically cost between $1500-$4000. All materials is priced by the linear foot. 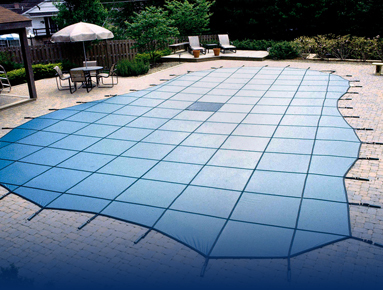 Hard cover pool covers are priced based on the shape, size, and the location of your pool. An average pool cover will typically run between $1500-$4000. 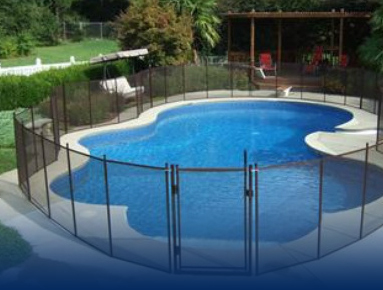 A fully installed pool safety net costs an average of $1500-$2500. All pricing is determined by the size, shape, and positioning of your pool. Yes. Pool Guard Texas is fully certified as Professional Child Proofers and insured through the International Association of Child Safety. Do you provide Warranty on the safety pool products and installation? Each of our Pool Guard Texas products and installations come with specific warranty terms. Please visit each Safety Product page to review individual warranties and guarantees. If I have a problem with my swimming pool fence, pool cover, or pool net, can I call Pool Guard Texas? YES! Please give us a call anytime. We will initially assist you in troubleshooting the issue over the phone. If that doesn’t work, we will have a trained technician come out to your property with 24-48 hours. 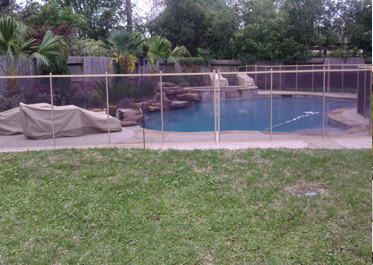 Pool Guard Texas is your solution for removable mesh safety fences, pool safety covers, and pool safety nets. All of our products provide life saving protection for swimming pools and spas. Although our pool safety equipment is so popular that it is being installed in over 26 countries, ALL of them are manufactured with pride right here in the USA. But don't forget, that even the best swimming pool safety equipment is useless unless it is installed the right way. 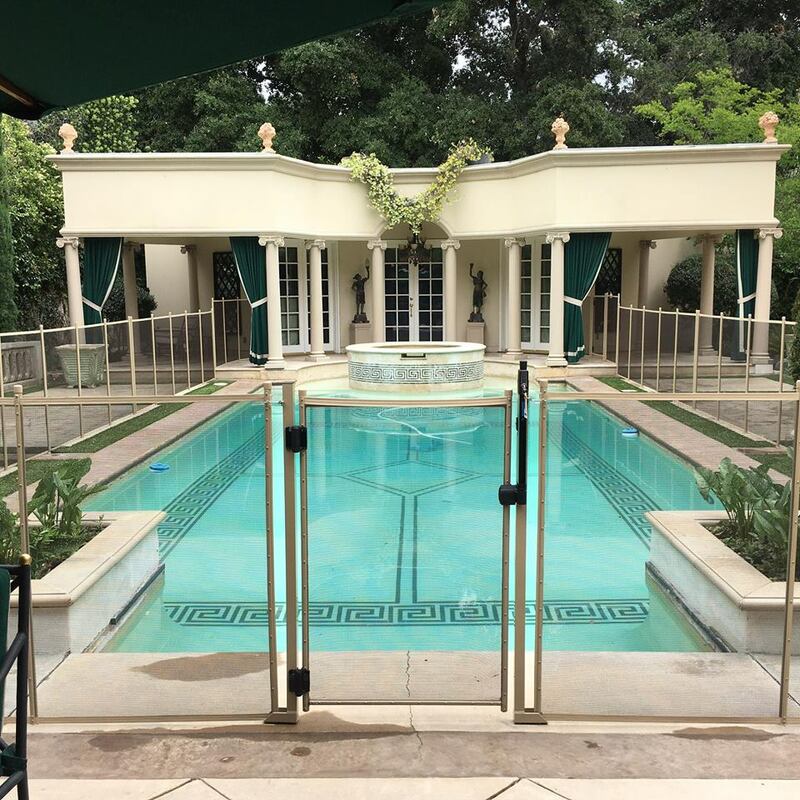 Our trained and certified professional installers have implemented over 75,000 pool fences and safety covers nationwide (over 40,000 in Texas alone). The ability to overcome challenging installations is the key to having a truly safe swimming pool enclosure. Don't Wait For Something Terrible to Happen, Call Us For Your Pool Safety Needs ASAP!